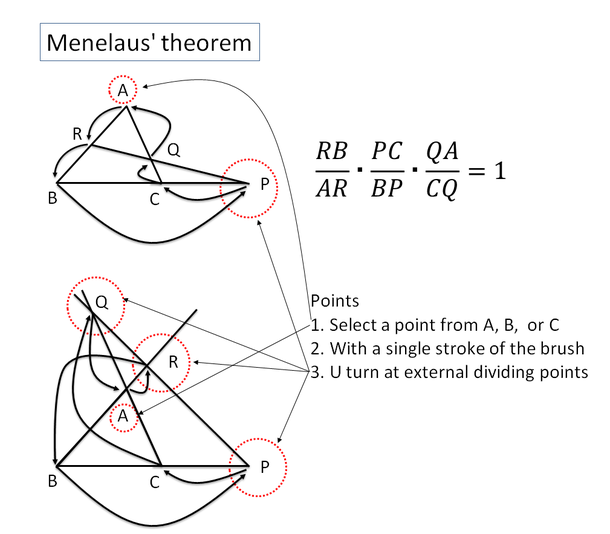 Menelaus' theorem - so many dreams! The proof is peace of cake. 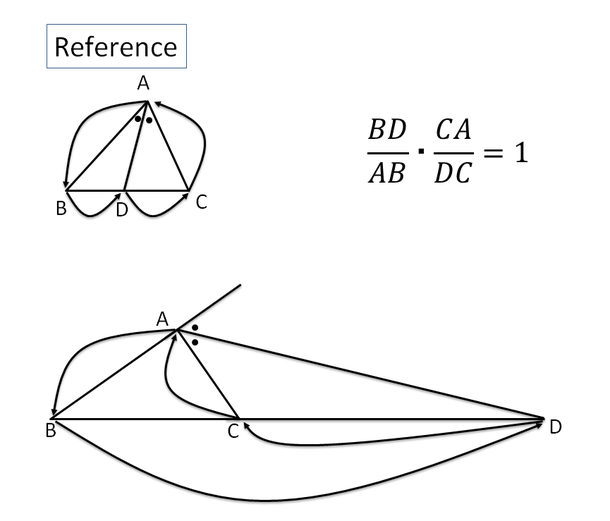 Considering the path of A, B, C, P, Q, and R, that is A>[R]>B>[P]>C>[Q]>A. 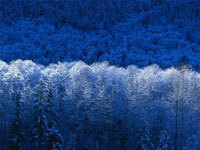 Therefore we can understand alternating between vertexes and dividing points.